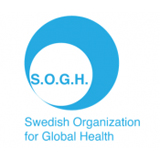 Swedish Organization for Global Health (S.O.G.H.) is a registered non-profit based in Stockholm, Sweden, founded by a group of Public Health Master’s students at Karolinska Institute. Together with our partner NGOs, we develop evidence-based public health projects in low-income countries, focusing on maternal, newborn and reproductive health. Currently, S.O.G.H. has partners in Uganda and Rwanda. With both organizations, S.O.G.H. works to develop and expand projects that address some of the most important public health issues in the countries, such as maternal and newborn survival, and reproductive rights and access. Our mission is to improve the quality and accessibility of health care and health promotion in low-income countries through local and international partnerships. S.O.G.H.’s vision is a world free of health inequities. Health equity – Contribute to the fight against health inequities. Gender equality – Support women to overcome barriers to access to healthcare and their rights for reproductive health. Transparency and Accountability in relation to our partners and donors. S.O.G.H. is running a maternal and newborn health project called the Maama Project in partnership with the Uganda Development and Health Associates. The objective of the Maama Project is to improve maternal and newborn health in Mayuge district in Uganda. The Maama project focuses on the dissemination of information on the importance of antenatal care, birth preparedness, facility-births, safe newborn care practices and family planning through home visits conducted by community health workers and with clean birth kit distribution. The combination of prenatal and postnatal home visits and the provision of clean birth kits target maternal and newborn health throughout the continuum of care from pregnancy through birth until the postpartum period, maximizing the impact of the intervention. The aim is to reduce maternal and newborn mortality through increased ANC attendance, hygienic birth environment and health-facility births. A pilot has been running in four villages in Maina Parish since August 2014. The initial results from the pilot are encouraging: the average number of antenatal visits to the local health clinic have increased by 104% (from 35 to 72). Moreover, the proportion of women who complete all four recommended antenatal visits has gone up from 12% to 75%.